Outdoor Electronic Message Centers (EMCs) or LED displays are computerized programmable electronic visual communication devices, specially manufactured for the outside environment. They are capable of storing and displaying multiple messages in dozens of formats and at varying intervals. Electronic Message Centers allow you to change your message frequently, but without the cost of replacing missing or broken letters, and without the physical labor involved in changing copy. Thus, Electronic Message Centers allow you to communicate more effectively with the typical person passing by at a particular time day by changing the message and graphic of your sign to match the profile on the street. Outdoor Electronic Message Center cabinets are specially produced to withstand the harshest outside environment like snow, rain and direct sunlight. They are also able to compete with the sun due to the use of ultra-bright LEDs. Unlimited number of message changes and variable controls result in lower labor cost and elimination of the physical liabilities often associated with copy changes on traditional reader boards. Variable messages as people pass by, allowing greater flexibility in communicating to the public. Flexibility means your business can advertise specials while also displaying public service information or other items of public interest. 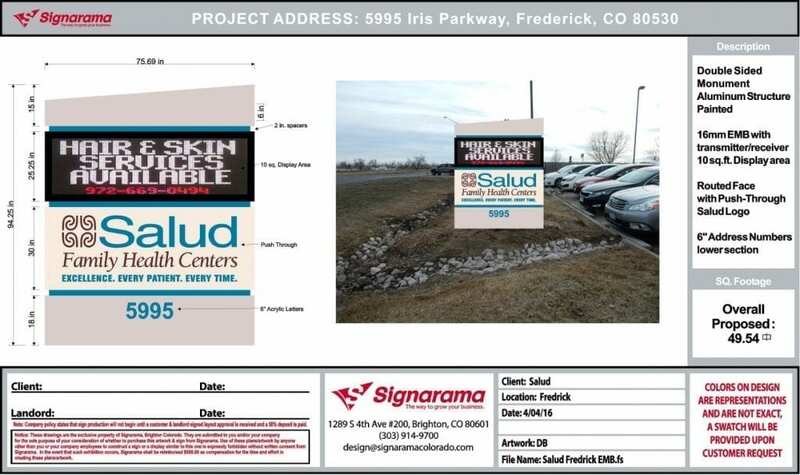 Electronic Message Center signs can quickly “brand” your business site in the local community. Effectiveness of an Electronic Message Center is not limited by space or surface area constraints as with a reader-board. Electronic Message Centers act as your “salesman on the street,” attracting new customers to your business location. Allow you to market your products and services to your immediate trade area and prevent wasteful advertising expenses. Business owners can change the message as needed to provide information to specific retail customers, and can be used for political, social or community events. Software is available that enables business owners to display sophisticated logos or images on the Electronic Message Center precisely as planned. Choosing the right LED display is vital to maximizing the display’s potential. Answer these four questions designed to help to find the display that’s right for your application. 1. Is it an indoor or an outdoor application? LED displays are specifically designed for either indoor or outdoor use. Two main factors determine whether a display can be used indoors or outdoors. The first factor is weather durability Outdoor displays are designed to work in extreme weather conditions while indoor displays are not built to stand up to the same environmental factors. Second, outdoor displays use different LED’s than indoor displays. The LEDs used for outdoor displays are brighter to account for the varying lighting conditions. Indoor displays do not have the same concerns and subsequently are not as bright. 2. What message content is needed? The answers to these questions will help you make your choice. They also reflect decisions that can increase or decrease the cost of your LED display. For example, a full color display is more expensive than a monochrome display. There are many different ways to communicate with your LED display. Understanding the requirements of the display in this regard will help in choosing the right technology for your application. Some installations may have specific requirements. Speak with a Hyperion dealer or sales representative to find out which option will work best for you. 4. Where will the viewing audience be? The distance between your sign and its viewers is the key factor in determining the best LED sign for your application. Consider two things about why it is crucial to choose a display based on where it will be located in relations to its audience. First, the distance from the viewer to the display will affect the minimum and maximum viewing distances. Second, the viewing distance also impacts the resolution or pitch. There are some good things to keep in mind when creating messages and artwork for you electronic message centers. The distance from the sign to the viewers factors into determining the actual physical size of the sign. The farther the viewer is from the sign, the larger the letters need to be in order to be readable. Large letters can mean a larger sign. The general rule of thumb in determining the appropriate size for your sign is you need 1 inch for every 50 feet of viewing distance. For example, if you were traveling 60 MPH on a freeway, and the sign is 500 feet away at a gas station, the text letters would need to be at least 10 inches tall to be legible. Likewise, if you are standing 100 feet away from a sign at street level, the letters only need to be 2 inches tall to be legible. Longer distances require less resolution, and shorter distances require higher. Resolution, also known as pitch, plays a key role in the cost of your sign. The higher the resolution, the more expensive the sign. Pitch is the distance (usually in millimeters) between pixels. Pitch is always measured from the center of one diode to the center of another diode. The smaller the pitch number, the higher the resolution quality. Larger pitch numbers indicate a lower resolution. A pixel can be one single diode or a pixel can consist of a cluster of diodes running off the same circuit. Certain pitches are better for certain distances. For example, a sign off a freeway that will only be viewed from far away only needs a low resolution because of the distance from which it is being viewed. 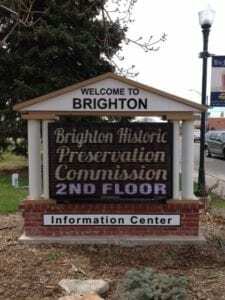 A sign viewed from street level, such as one in front of a school, would want a higher resolution because it will be viewed from a shorter distance. The distance you stand from the sign will impact how the sign looks. The higher the pitch, the farther you will want to stand away from the sign to view it. The smaller the pitch, the closer you can stand to the sign and still read the message on the sign.